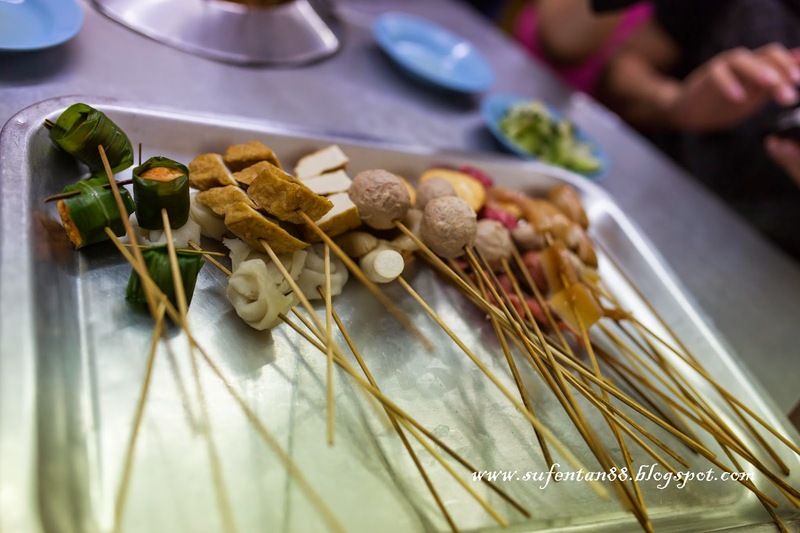 Everytime you visit Melaka, the famous food that people will recommend is the Satay Celup! And everytime you request for Satay Celup, you will either end up in Capitol or Ban Lee Siang which are the famous one and had the longest queue you were ever want to join. So this time, we found a Satay Celup shop which is equally famous but somewhere out of the Melaka town. 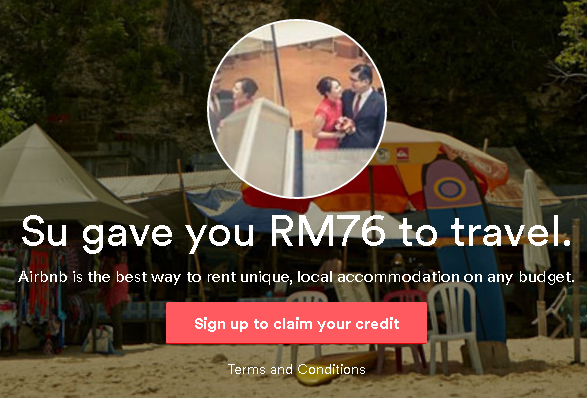 You wont have to queue like crazy or pay like crazy. 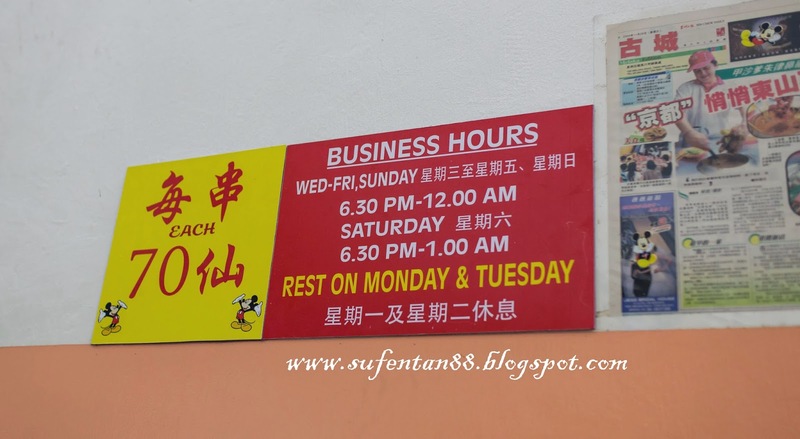 You just have to relax and enjoy your food, plus it is an air-conditional shop, no worry on sweating while eating. Just for your info. for those who haven't try Satay Celup before, it is a type of raw or semi-raw ingredients (ie. meat, seafood, vegetables and etc...) on skewers and you boil it into a big pot of satay sauce. 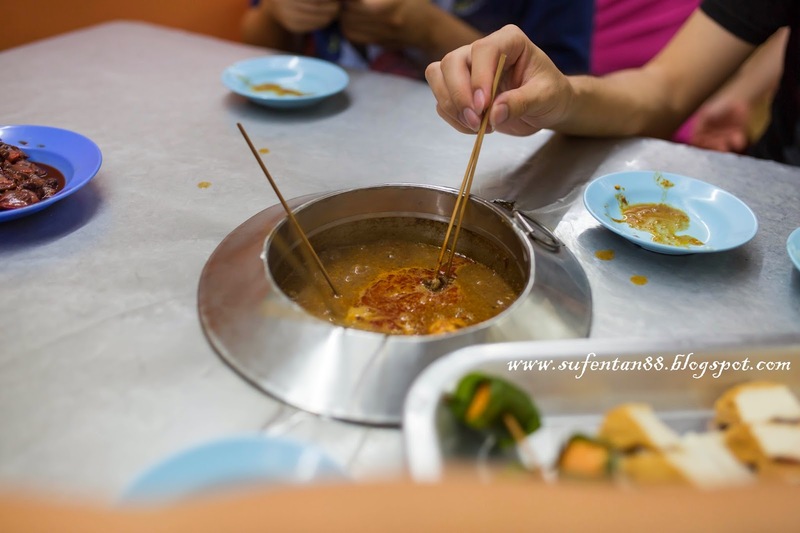 It is very similar like steamboat, but the soup is substitute with satay sauce. All the ingredients will be placed inside the fridge near to the entrance, you will need to get a big metal plate and place all the food you will like to eat. Every table will be installed a pot of boiling satay sauce in the middle of the table to boil your ingredients. You will dunk your ingredients inside the boiling satay sauce and wait for it to cook. And there it is your Satay Celup! I personally like this place, although it is a bit far from the town but if you are driving, I would recommend to come here. As you will save your time on queueing and eating in a crowded and noisy place. This place give you more space and even better ambience to chit chat with your friends. The satay sauce is nice, comparable with the other famous outlet, plus the price is only RM0.70 per stick regardless any ingredients. At least by end of the day, we still able to save our pocket getting a big hole. 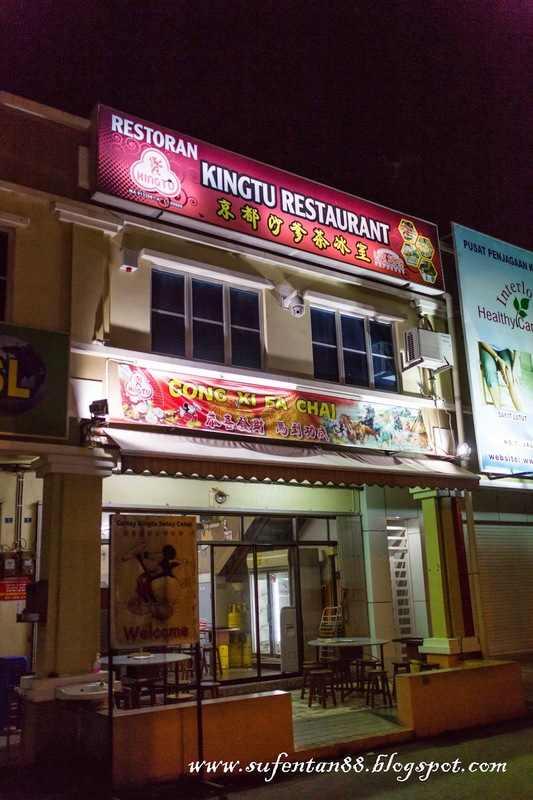 P/S: You can use Waze to type in the restaurant name to find the place.